Stay up to date with the latest PAAL Kit Home news and updates. 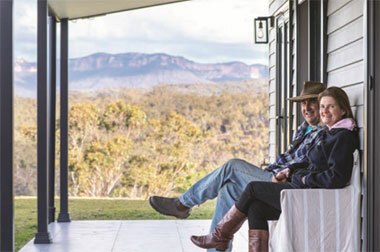 Stephen and Rebecca Dalli had been planning their dream home for ten years, during which they regularly camped in a wooden shack on their property with breathtaking views of the Capertee Valley near Lithgow, NSW. "We had a bespoke design in mind," says Rebecca. "But when we actually priced it, bespoke was totally out of the question, so we began to look at other options." Separate formal dining has given way to a combined living, meals and kitchen area. Luxurious new finishes in the Elizabeth include built-in bookshelves and custom cabinetry. A freestanding bath and niches in the shower cubicles are among the latest features. 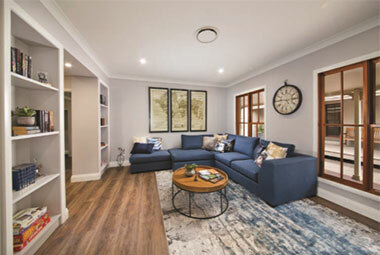 Paal's popular Elizabeth design has been reworked to provide a spacious open-plan family area. The rebuilt Elizabeth can now be inspected at Paal's display centre at Emu Plains. 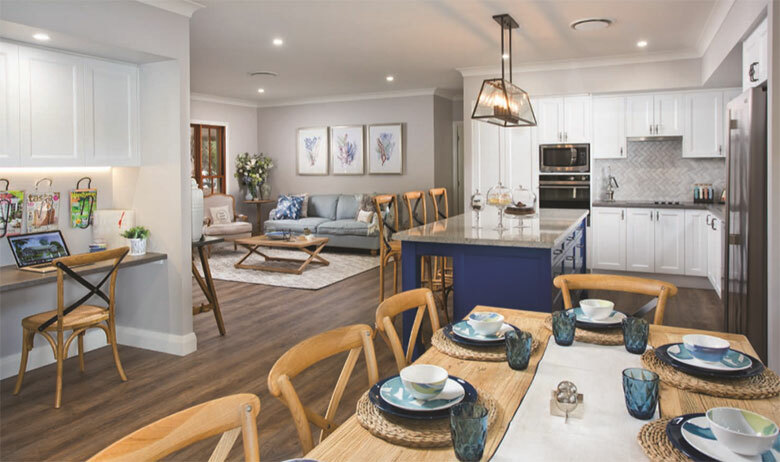 "Separate formal dining has given way to the concept of a combined living, meals and kitchen zone, which is more inclusive and sociable," said Paal product development manager Philip Weymouth. Paal's classic home now has floor space available for a multi-purpose study or nursery. The formal dining area has been converted into a lounge/media room as a retreat from family activities. "People want their meals area next to the kitchen, in-keeping with the modern trend of not hiding the chef's work away from family and guests," added Paal housing consultant Michael Christie. The Elizabeth has been enhanced throughout with luxurious new finishes including 140mm skirting boards and crafted internal doors that give the home a custom-built look. Matching custom cabinetry in the kitchen, bathrooms and laundry complete the picture. The floor plan provides a computer or homework nook off the main living area, from where it can be unobtrusively supervised. The trend for a freestanding bath is acknowledged, while the shower cubicles have niches for soap and shampoo. The back door has been modified into a sliding door, and built-in bookshelves have been added to the lounge. "In line with the flexibility of Paal's designs, all these innovations can be applied to our other homes, whether or not the changes appear in the standard plans," said Philip. "That's the great thing about building with Paal. The designs can be altered without difficulty, to give you exactly the home you want." 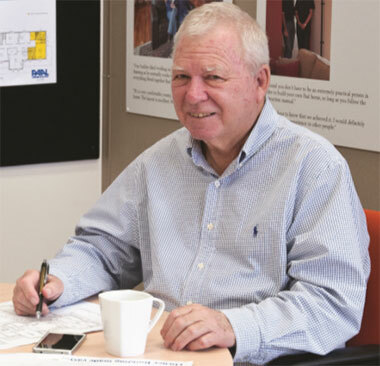 Respected and loved Paal housing consultant Phillip Longhurst passed away recently. Phillip helped many of our customers achieve their homebuilding dreams and is sadly missed. 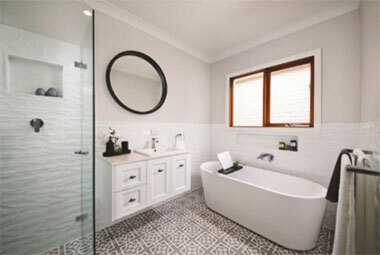 In recent years he was based at Paal's display centre in Caboolture, growing a presence for the company in Queensland and northern New South Wales. He travelled tirelessly to give support to homebuilders. Phillip was a familiar figure at the home shows and agricultural field days in the region, manning the Paal mobile display unit with backing from his loyal staff including office administrator Mauree Grace. "All those who knew Phillip have commented on his friendly, yet highly professional manner that always put the needs of other people first," Mauree said. Philip Longhurst began his career as a sales manager in the insurance industry, instigating new and creative projects. He worked with other homes companies before joining Paal Kit Homes in 2005, where he introduced the practice of open houses and was instrumental in bringing about the addition of new inclusions into the Paal kit. Paal general manager Eddy Nobis said, "Phillip had a great rapport with customers and worked long and hard to assist them to achieve their aims. He was genuinely interested in what a client was looking for out of their new home and he would apply all of his long experience and wisdom to help them achieve it. "He was a real people person. Always full of optimism and an infectious enthusiasm." His personal interests included family activities, reading, golfing, entertaining and collecting Australian wines. 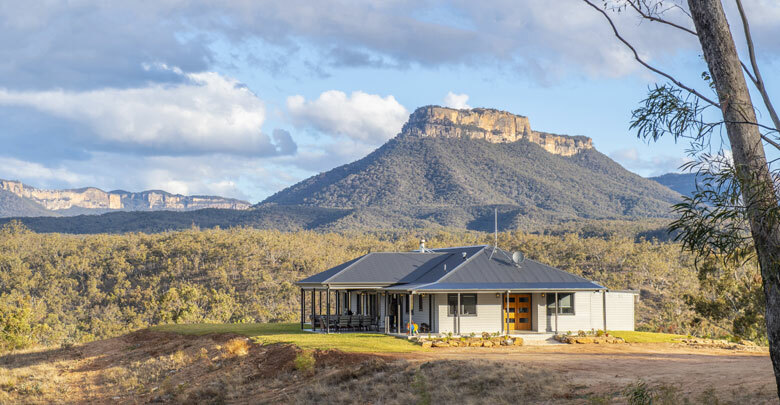 "Phillip's are big shoes to fill, but we're working hard to provide continuity of service to our Paal homebuilders in the region," Mr Nobis said. "Phillip's sincerity was exceptional. He certainly left his loving mark on many Paal clients. We have been blessed by this wonderful association with such a loving soul." "Phillip was caring and understanding. He never pressured me into speeding up a purchase and understood my timeline. Such a great bloke, with respect to all." "Deeply saddened to hear (of his passing). We will be forever grateful for all Phillip has done for us."